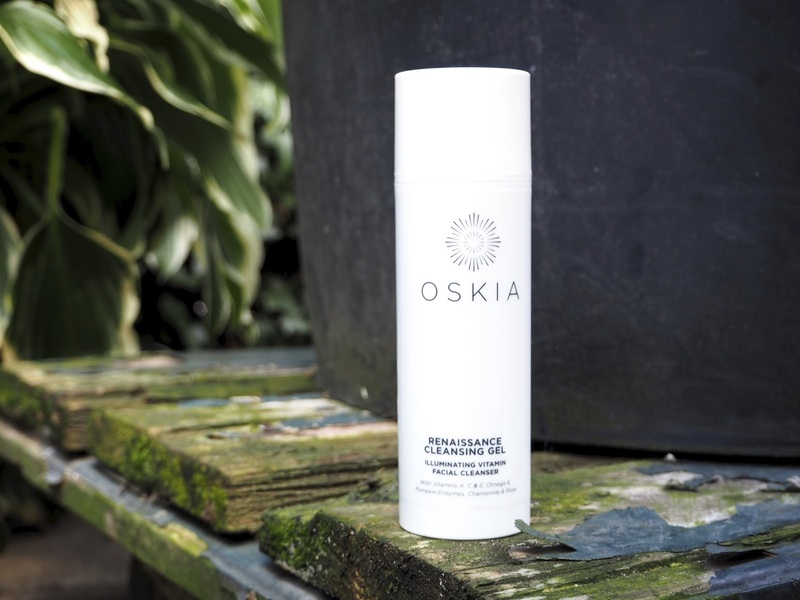 If you haven’t seen/read/heard about Oskia’s Renaissance Cleansing Gel yet – where have you been – it’s a cleanser that contains fruit enzymes, vitamin C and E, which all help to illuminate and nourish the skin, whilst restoring the skin and protecting it from free radicals. Although it’s marketed as a ‘gel’ cleanser, the only thing gel about it is the consistency when you pump it out. Once you massage it into the skin, it melts into a very nice oil —it’s the perfect slip for a quick facial massage. I love using this in the mornings, as it’s got such a zesty and uplifting scent to it, but it’s a great second cleanse as well. Generally I just rinse it off with lukewarm water, or if I’m really feeling like putting in much effort, I’ll use a cloth to take it off. Don’t worry, I know that many of you are concerned that it’ll leave a residue on the skin when you don’t wash it off with a cloth, but as long as you make sure you’re washing it off with lukewarm/warm water, you’ll be in good hands. There’s no doubt that you’ll instantly notice a glow or sheen on your skin, which are properly the Papaya Enzymes doing their job. And a damn good one, if I have to be honest. Aside from looking more luminous, my skin’s softer and just looks more ‘awake’ and less dull. Does that make sense? Suitable for all skin types, even oily ones, as it isn’t as heavy as some cream or thick balm cleansers. Also, it’s the perfect cleanser to use if you’re just dabbing into this oil/balm cleanse routine. If you’re wondering why my bottle looks taller, that’s because it is. They’ve recently (2014) changed it from 150ml to 100ml, hence all the bottles look very tiny and miniature. I’m not quite sure why they’ve done so, but I’m suspecting it’s their way of a price increase. To be really honest, I wish they’d kept the size and increased the price, ’cause I love it that much. Previous Post Smells Like Cotton?